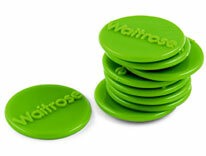 A big thank you to Waitrose Community Matters and to all of you who placed their green tokens into the Multiple Sclerosis container during December. You raised an incredible £422.00 for the charity. All monies raised will stay in Guernsey and is used in a variety of ways, such as adaptations to homes, specialised mattresses, beds and specified gym sessions to name but a few.